Looking for a new Nissan for your drive around Danville? At Gunter Nissan of Martinsville, we have Nissan models like the Nissan Rogue and Nissan Altima to make your next drive the best one yet. Why Choose a New Nissan Model? 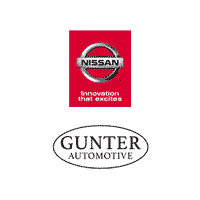 Make the trip from Reidsville, NC to Gunter Nissan of Martinsville to see for yourself why a new Nissan is the right choice for your next new vehicle. Be sure to contact us if you have any questions!